Come to the chocoholic zone, by making an order of this tastiest combo online. 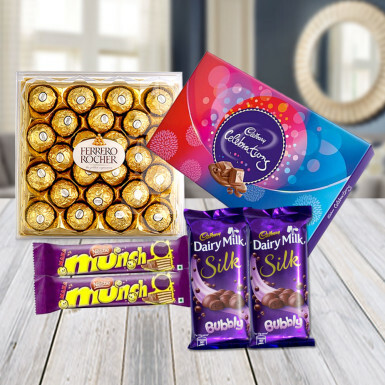 Gift this combo to an adorable one who brings lots of sweetness and happiness in your lives. These chocolates will surely bring smile to your loved ones face. So don’t let your feelings knocked down. Browse our website Winni.in and select this combo to bring this tasty delight at your home.